The Prosecutor of the International Criminal Court (ICC) issued this month one of her rare statements – this time regarding the worsening situation in Gaza. Fatou Bensouda, referring to the violence in the context of recent mass demonstration in the Gaza Strip, insists that “the resort to violence must be stopped”. 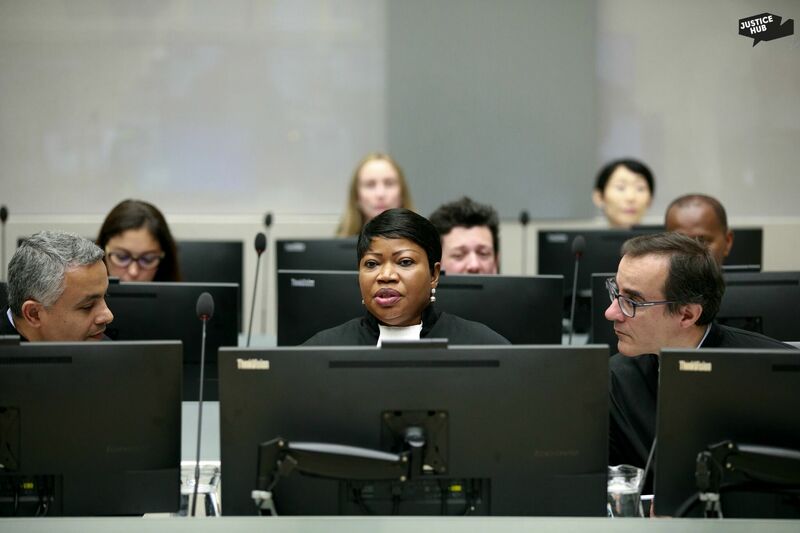 Moreover, she warns “any person who incites or engages in acts of violence including by ordering, requesting, encouraging or contributing in any other manner to the commission of crimes within ICC’s jurisdiction” of being liable to prosecution before the Court. The fresh violence in Gaza broke out on 30 March 2018. Israeli forces, allegedly, killed 16 Palestinian civilians. The day quickly turned into the bloodiest day in the Gaza Strip since the 2014 war. Palestinians are running a six-week protest demanding, inter alia, the right of return for refugees. According to the Prosecutor’s statement, at least 27 Palestinians have been reportedly killed by the Israeli Defence Forces, with over a thousand more injured, many, as a result of shootings using live ammunition and rubber bullets. “Violence against civilians – in a situation such as the one prevailing in Gaza – could constitute crimes under the Rome Statute” continued the statement. Palestine is a member State of the Rome Statute, and the ICC has jurisdiction over those ICC-identified crimes committed within the territory of Palestine, including the Gaza Strip, since 13 June 2014. The situation in Palestine has been under preliminary examination since January 2015. The events of 30 March seem to have a high potentiality to fall within the International Criminal Court’s jurisdiction as war crimes. The recent violence in Gaza sparked reactions across the world. The United Nations Secretary-General, Antonio Guterres, called for an independent inquiry. The EU followed the UN and called for a probe into the deaths of Palestinian protesters in Gaza. These worldwide reactions support the gravity of the recent incident. As the court’s Pre-Trial Chamber in its decision on the situation of the registered vessels of Comoros states, the attention and concern that an event attracts from the international community should be taken into account as a factor in determining the gravity of a situation. 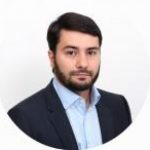 The impact of the recent violence in Gaza on the public establishes the sufficient gravity of the event that justified the Prosecutor’s reaction. Nevertheless, the significance of the Prosecutor’s statement was called into question by some observers. Kevin Jon Heller, for instance, called the Prosecutor’s words largely empty in the absence of a formal investigation. He has a point. But to appreciate the value and importance of the Prosecutor’s statement, we need first to understand what this statement is and why it was issued. The Prosecutor’s statement regarding the worsening situation in Gaza is called a ‘preventive statement’. In the Policy Paper on Gender-Based and Sexual Crimes, issued in 2014, the Office of the Prosecutor insists that where it has jurisdiction, “it may also issue preventive statements to deter the escalation of violence and the further commission of crimes, to put perpetrator on notice and to promote national proceedings”. This initiative is consistent with one of the constituent goals of the Court as referred to in the Preamble of the Rome Statute, namely the prevention of crimes. For a long time, the Prosecution has followed this precedent. For example, the then ICC Deputy Prosecutor in 2010, following the deaths of only seven persons in Guinea, stated “we are keeping an eye on events in Guinea”. In other occasion, in 2014, the Prosecutor issued a statement expressing her deep concern regarding the escalating violence in the situation in Libya. So, the 8 April statement was consistent with the well-established practice of the Office of the Prosecutor. My own NGO, the Iranian Center for International Criminal Law, established under Dutch law in 2014, had requested the Office of the Prosecutor issue such a statement. And we were gratified by the prompt response. But what is the function of a preventive statement? It has two roles. First, it is intended to bring about a deterrent effect on the commission of ICC-identified crimes. Deterrence pursues its objectives by issuing a threat of punishment. Threat is a key factor in law. Deterrence considers individuals as the rational actors, who act based on the assessment of the costs and benefits of their choices. By issuing a preventive statement, the Prosecutor makes it clear that those crimes are being or will be committed will be closely monitored and taken into consideration for the ensuing prosecution. However, if it is thought that the threat of a punishment is not carried out due to legal or practical obstacles, deterrence loses its effect. For example, “prosecutions for war crimes on both national and international planes are so exceptional that criminals do not believe that they are likely to be prosecuted and punished,” argued Meron more than 20 years ago. But the establishment of the ICC has changed that picture. Deterrence theory now, in the context of the ICC, should be understood also as ‘expressive deterrence’: criminal punishment deters crime not because criminals fear the punishment, but because they fear the broader social consequences of a criminal conviction. A preventive statement puts a crisis in the centre of the attention of the international community and can put the perpetrators under pressure, inter alia, by imposing some reputational costs and consequently encourage them to stop the atrocities. Expressivism is very visible in international criminal law. For instance, the first Yugoslav Tribunal sentencing judgment declared that it sees “public reprobation and stigmatization by the international community, which would thereby express its indignation over heinous crimes and denounce the perpetrators” as an essential function of punishment. It matters that the public receives the message. The second function of a preventive statement also recognizes the existence of a situation of crisis and the commission of atrocities. By issuing a preventive statement, the Prosecutor expresses her concern about a crisis and proves that the Court is not indifferent. It can make a major contribution to victims. Victims of war crimes could go through a second cycle of victimization if their voices are not heard and they feel that they are forgotten. A preventive statement sends a message to victims that the international community is concerned about their situation and this inspires hope. The third function of preventive statements is its contribution to the positive complementarity doctrine. This means that the Prosecutor of the Court should try to activate the national legal systems by encouraging and assisting them. At the very least, the Prosecutor should give States a chance to discharge their responsibility to combat international crimes. Only if these initiatives fail, then the Prosecutor can pave the way for the Court’s intervention. The process of the Court’s intervention is as follows: encouragement, cooperation, and finally, action. A preventive statement on a crisis pushes States to take the initiative and shows the consequence of their inaction, namely, the intervention of the Court. There is a long and tough road ahead for the Court to investigate a situation. Only a handful of situations manage to pass the high threshold of an investigation. If the Court is limited to these small number of situations, its influence will considerably decrease. However, the drafters of the Statute have anticipated the preliminary examination to make up for such a shortcoming. The Prosecutor has been empowered to broaden opportunities and possibilities in the preliminary examination. Dr. Mohammad Hadi Zakerhossein is the Director of the Iranian Center for International Criminal Law (ICICL). The views and opinions expressed in this article are the author’s own and do not necessarily reflect Justice Hub’s editorial stance.